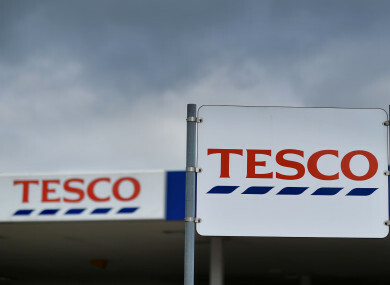 GROCERY GIANT TESCO has overturned a €5,000 payout previously granted to a worker accused of stealing cash from the self-scan checkouts at one of its Meath stores. Martin Cording, a former team leader at Tesco’s ‘express’ outlet in Enfield, won the initial award after a Workplace Relations Commission hearing last year over his claims of unfair dismissal. He was sacked after the supermarket found there was a shortfall in cash from a number of the self-scan tills at the outlet. After checking there was no fault with the units, Tesco management decided to place extra cash in the machines to see if the losses continued. Cording, who had an annual salary of €27,761, was later captured on CCTV footage accessing the note dispensers twice on one till with his back to the camera, and then removing bins next to the tills. On both occasions, he took the bin contents to the supermarket’s warehouse, where there was no CCTV coverage. More than €700 was missing from the till when it was checked, and Tesco claimed the worker was the only person who had accessed the machine. Cording was never seen with cash in his hands in any of the footage, and at a meeting a few days after the recording was made he denied ever taking money from the tills. However he was suspended pending a full investigation, and three months later he was summarily dismissed over the alleged theft. Cording appealed the decision on the grounds that he was unfairly dismissed as he wasn’t given prior warning that he was under investigation and Tesco only “drew an inference” that he must be responsible for the money going missing. He claimed the self-service tills frequently gave trouble when old bank notes were used and it wasn’t always possible to adhere to Tesco’s ‘dual accountability’ policy – which stated that cash dispensers should only be accessed by two staff at a time. A Workplace Relations Commission adjudication officer last year upheld his claim after finding the investigation into the alleged theft was flawed. But the Labour Court rejected the ruling after an appeal from Tesco, dismissing the €5,000 payout previously awarded to the ex-staff member. In his decision, the court’s deputy chairman, Alan Haugh, found that Tesco had “reasonable grounds” to summarily dismiss Cording and that he had been given “the full benefits of fair procedures”. He noted the company’s decision was based on the worker’s “own behaviour on the dates in questions and his inability to proffer a credible and convincing explanation for accessing the cash dispenser, alone … on a number of occasions when the till appeared to be functioning perfectly well”. Email “Tesco has quashed a payout for a worker accused of stealing cash from self-scan tills”. Feedback on “Tesco has quashed a payout for a worker accused of stealing cash from self-scan tills”.